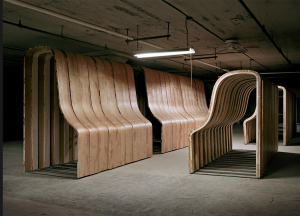 Nothing enters the Steinway factory in Astoria, Queens, looking anything like a piano. 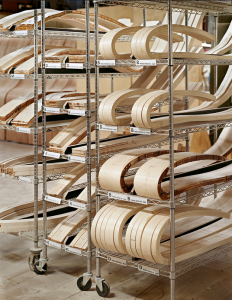 The wood, for example, is just lumber, before it is shaped into the rim of the instrument. 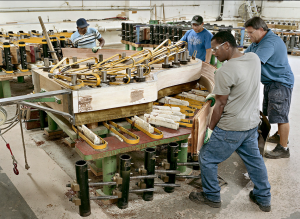 Assembling the pianos takes months, with a lot of waiting between steps so that the wood can be conditioned properly. Near the end of the process, each piano is wheeled into the ‘‘pounding room,’’ where 88 rubber fingers play the instrument for hours, breaking in the piano and exposing any problems or weaknesses. 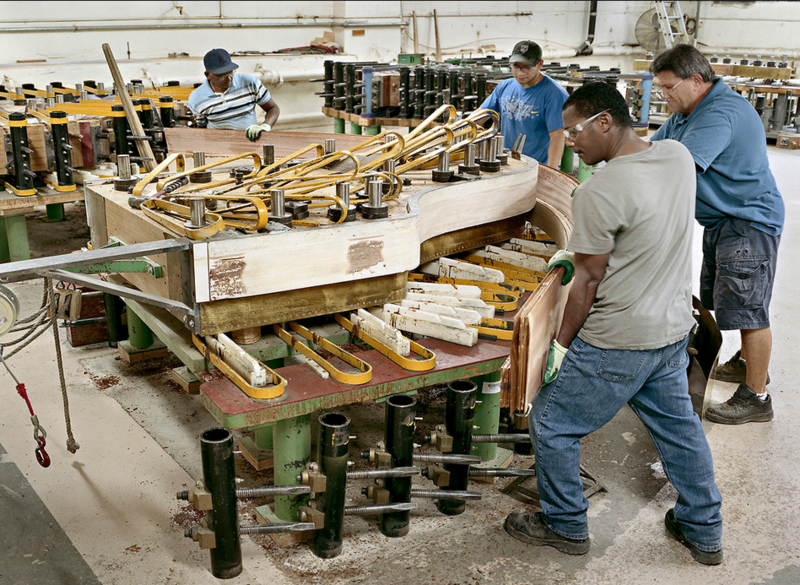 After being tuned several times, each piano has a final inspection. 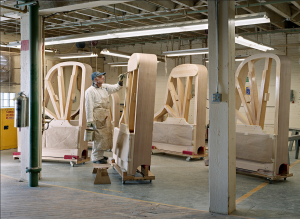 The crew of the rim-bending department works with multiple layers of glued hard-rock maple around a Steinway Model B rim press at the factory in Astoria, Queens. After rims are bent, they spend at least two months in the rim-conditioning room. 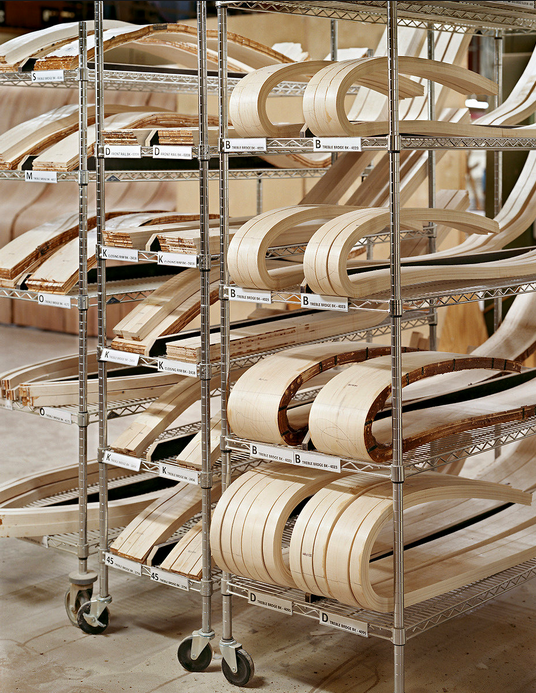 This cart holds a variety of bridges that have been bent in special presses. 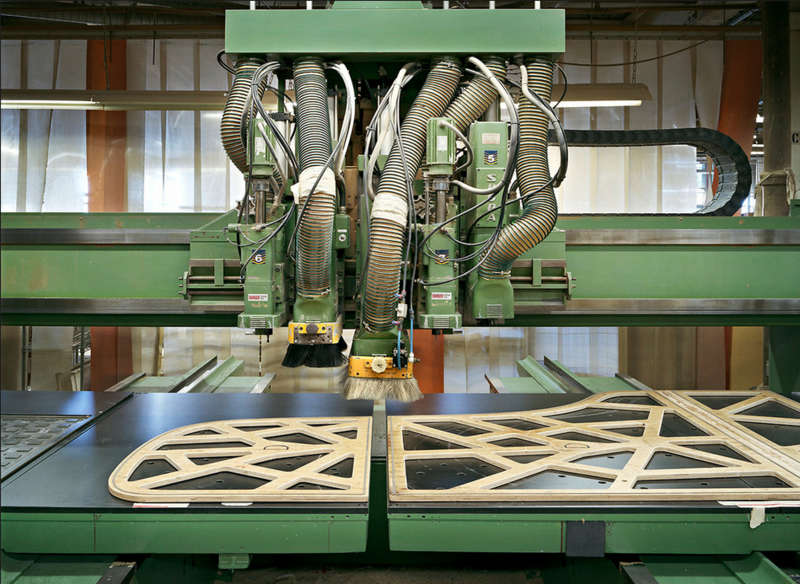 Different size (and shape) bridges correspond to different piano models and sizes. 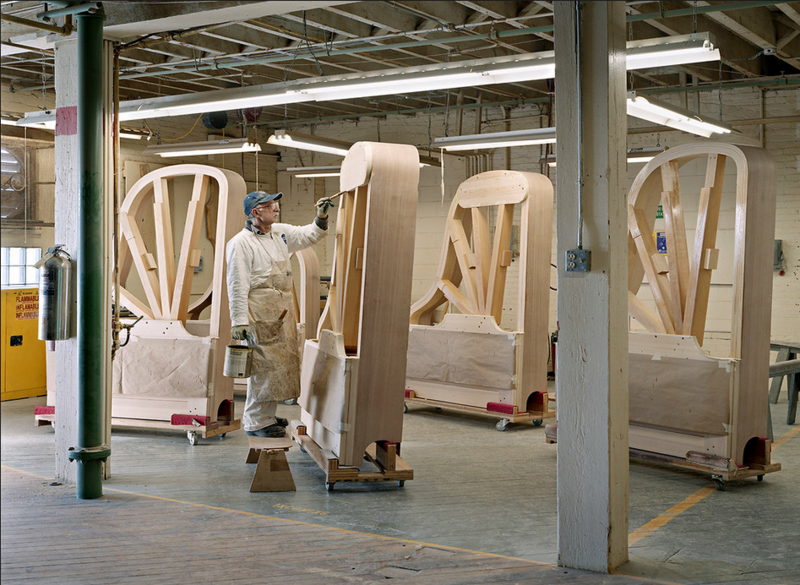 All parts of the Steinway that produce music are handcrafted, but other parts are manipulated by machines. 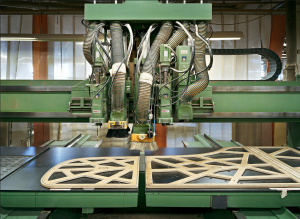 Craftsman paints a clear varnish on the cases, which is the term for the rims once they have been joined to their wooden frameworks.